Calamophis sharonbrooksae Murphy, 2012: 521. 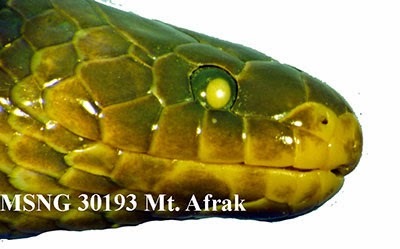 Holotype: MSNG 30193–1. Type locality: Mt. Arfak, West Papua, Indonesia. Diagnosis: A fangless homalopsid. 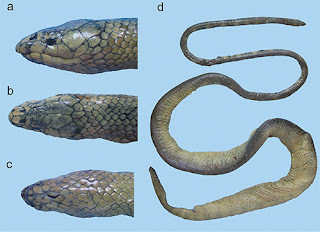 Robust cylindrical body, tail 9.0 to 9.6% of SVL; upper labials three, four and five about equal in height; rostral to frontal distance greater than parietal seam; dorsal scales uniform brown – no center spot of dark pigment; ventrals 149–150, subcaudals 17–19.